Winter is almost here. Minor cold and flu relating to season change will make your life miserable. It is always better to stay safe, however if you get cold you always have a way out. Aromatherapy works wonder in opening stuffy nose. If you have cold or runny stuffy nose take help from your aromatherapy alchemy and beat the cold instantly. 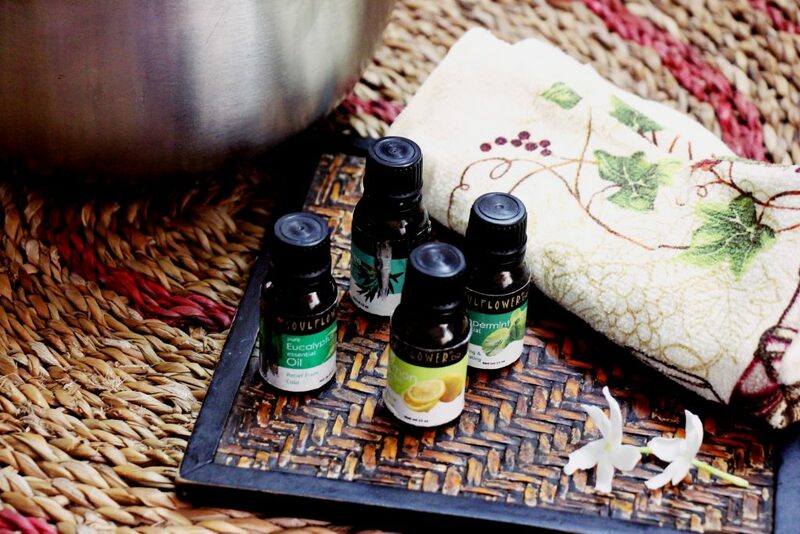 Eucalyptus, peppermint, lemon and tea tree are the best for nasal blockage. It the cirtrus aroma helps to boost energy to your system and peppermint helps to cools the pressure. The best way to work is to take steam. In a bowl take boiling hot water. Always be very careful when dealing with hot water. Place it safely on the table and take a towel. You will require around 2 litres of hot water. Then put all the oils in 2 to 3 drops each. Cover your head with the towel putting the bowl inside it. Don’t stay in heat for long, take little breathes as long as you can deal with the vapour. Try to take deep breathes. If you have bad cold do this 2 to 3 times a day. 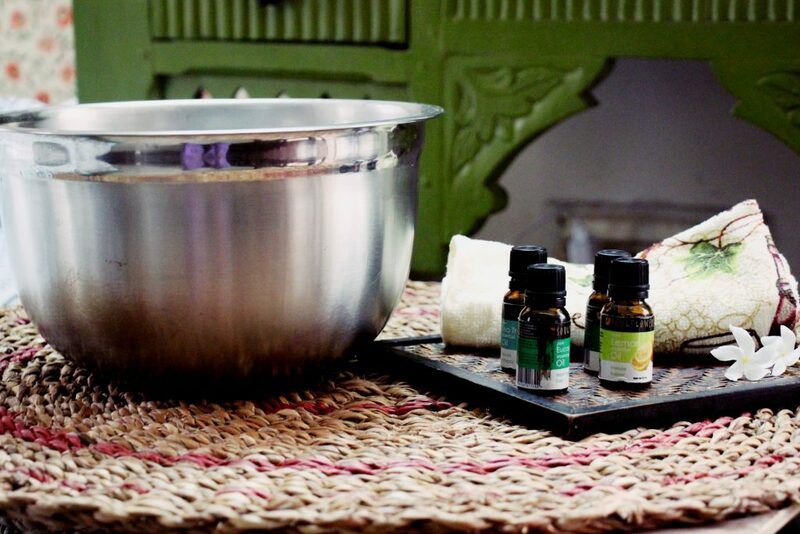 Also massage the oils with mustard carrier oil or seasame oil and rub against your chest and back including neck. Massage and then take a warm bath. I get cold almost in every season change. And depend on my aromatherapy soldiers to rescue me. People who are not so much into the entire aromatherapy science just keep peppermint and eucalyptus handy. Only these two is sufficient in fighting cold and to sooth the nerve system.